Shiretoko is the southernmost point in the northern hemisphere with seasonal sea ice, which makes it the home for a unique and original natural landscape. It is abundant in marine life represented by salmon, as well as a rich diversity of wildlife such as brown bears and birds. 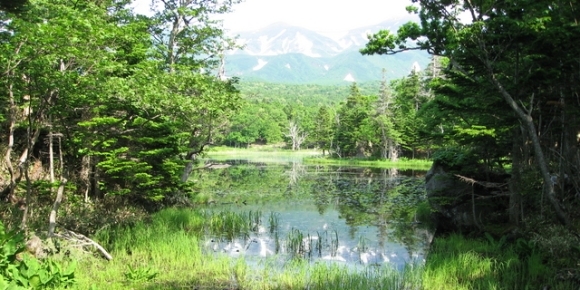 Surrounded by a large native forest are the five lakes of Shiretoko, with its well-known attraction, the Kamuiwakka hotspring-waterfalls.